Marathon 14. The “Windy” City. Chicago. Tomorrow. The struggle will be real for sure. Most likely the biggest challenge thus far in the mission to 22. But this type of pain is temporary: 3+ hours vs. a lifetime. Tribute, honor, accept the pain, build resilience, assist others… that’s all we can do. The last 7 miles of this last race really hurt & tested my body, with knee and ITB pain galore. Running in pain is one of the things that makes us stronger. Building mental toughness not only helps many, including professional athletes, but also prepares us in accepting many of life’s challenges and tackling extreme hardships. It builds our resilience; it helps us cope; it helps the process of grieving. Despite the constant, nagging knee pain beginning as early as mile 1, marathon 14 is complete. 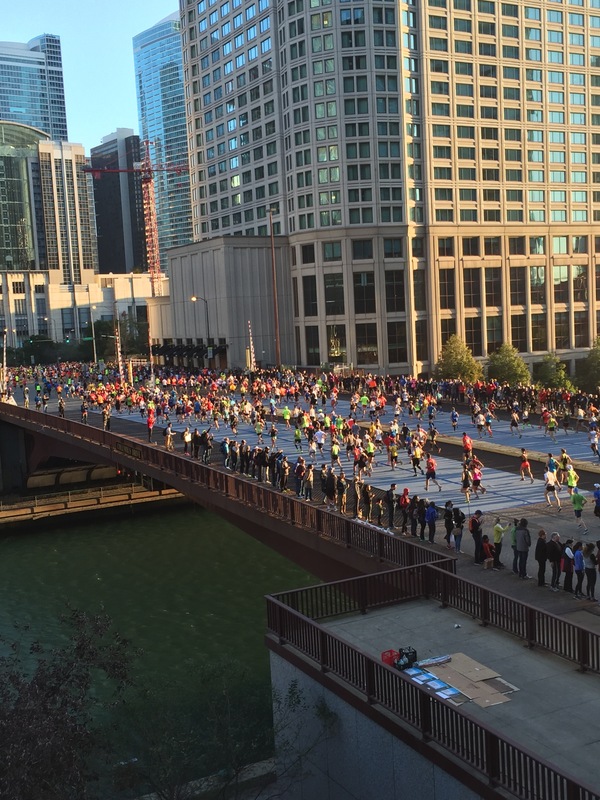 With over 40,000 runners, fans, music, and all the scenery that comes with major marathons, focus remained. At mile 12 today, a small, beautiful little girl reached out her hand for a high-five. Emotionally affected, I broke down into a pattern of uneven breathing from crying. However, my pace picked up without even trying. My mile splits came in faster and faster. All pain was masked and unnoticed for the next 8 miles. It’s truly amazing how all these emotions were present in the same moment: 1) extreme pain from running; 2) seeing the joy & beauty of that cute, little girl; 3) crying in the reminder of the loss of our daughter; 4) running significantly faster mile splits; and 5) the release of pain. At mile 20, excruciating pain set in. Thoughts of not finishing, not making it, not being able to even walk clouded my mind. The cheer of the fans, the music, and all of which was provided at the aid stations could not ease these thoughts. Miles 20 and 21 = my slowest miles of the race. 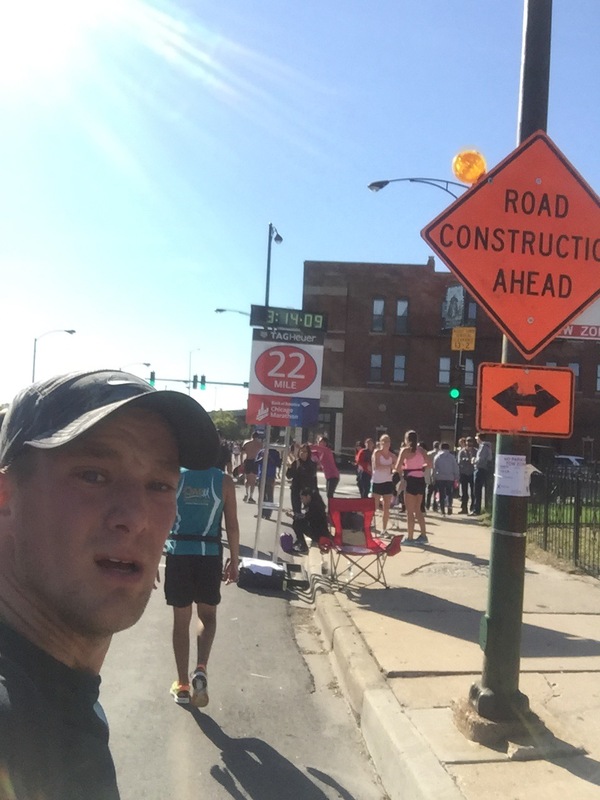 As I approached mile 22, positive thoughts sit back in my mind. Even though the pain is still unbearable, many thoughts reenter my mind other than finishing the race- enjoying my wife and boys, gaining strength, finding hope, and developing resilience. The remaining miles of this marathon were painful beyond belief, but the emotions from earlier in the race helped me through. Knowing that family members were waiting for me at the finish, and knowing that many people were following my journey online, helped to push me forward. 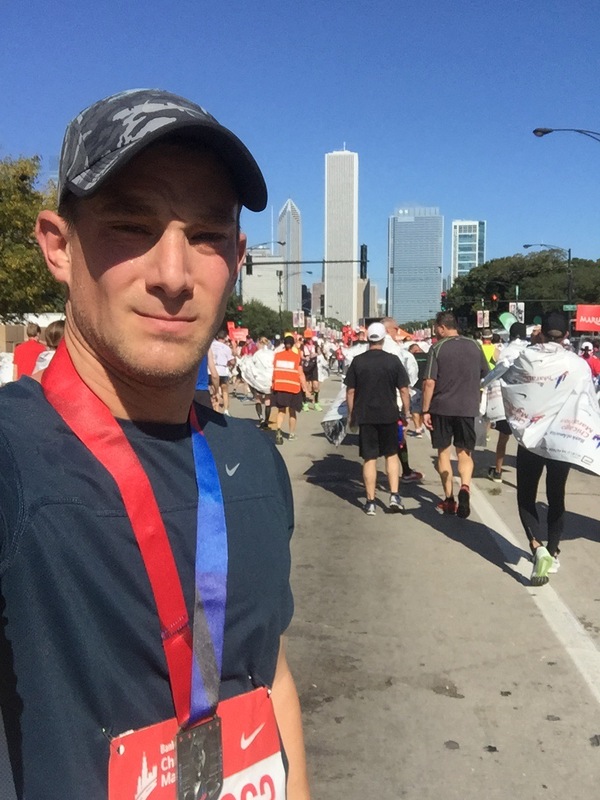 I finished my 14th marathon and kept the streak alive of all marathons run under 4 hours. Crossing the finish line today was different than the last 13 times. As I moved through the finish chute area, I found myself in deeper reflection. It seemed that there was so much more to process and I could not leave the finish area this time around. As I waddle like a penguin through the airport, I have the runner’s sense of accomplishment, but every step is painful and links back to why I set out to take on this feat. I am comforted in knowing that I am stronger as a result of another marathon weekend and stronger in life to demonstrate an increased capacity of resilience. In reflecting back on 2015 and preparing for 2016, it was very difficult to narrow down the most applicable words to describe my current leadership role, my responsibilities, and my life in general. Words that came to mind included perseverance, strength, and empower, among others. On New Year’s Day, our family endured a devastating experience. We lost our baby girl unexpectedly at a 22-week ultrasound appointment. Needless to say, we were sad and in disbelief. For months, my wife would whisper the words “little one” in a calm, soothing, and charming voice. It brought smiles to all our faces in thinking that we would have a little sister for our boys. This week, we have struggled to find strength in such a tragic loss to our family. Our “little one” became our “little angel” hence the chosen name, Angelina. In addition to the support we continue to receive from our family and friends, I also personally look at other ways to find resilience. In 2016, I intend to live the word “resilience” in my current administrative role, my marathon training, and in my life overall. I also intend to develop this quality in others: my family, friends, colleagues, and anyone else that crosses my path. I hope to inspire others with my story. I build resilience through running. In reflecting on our family’s misfortune, strength will come from it. 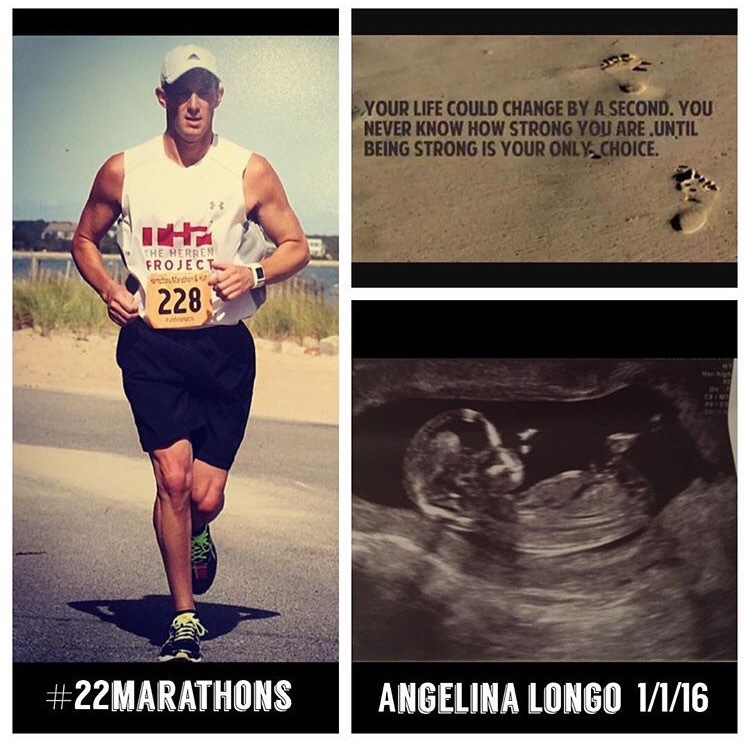 During my marathon training in 2016, Angelina’s footprints will be hanging from my laces, with me every step I take. 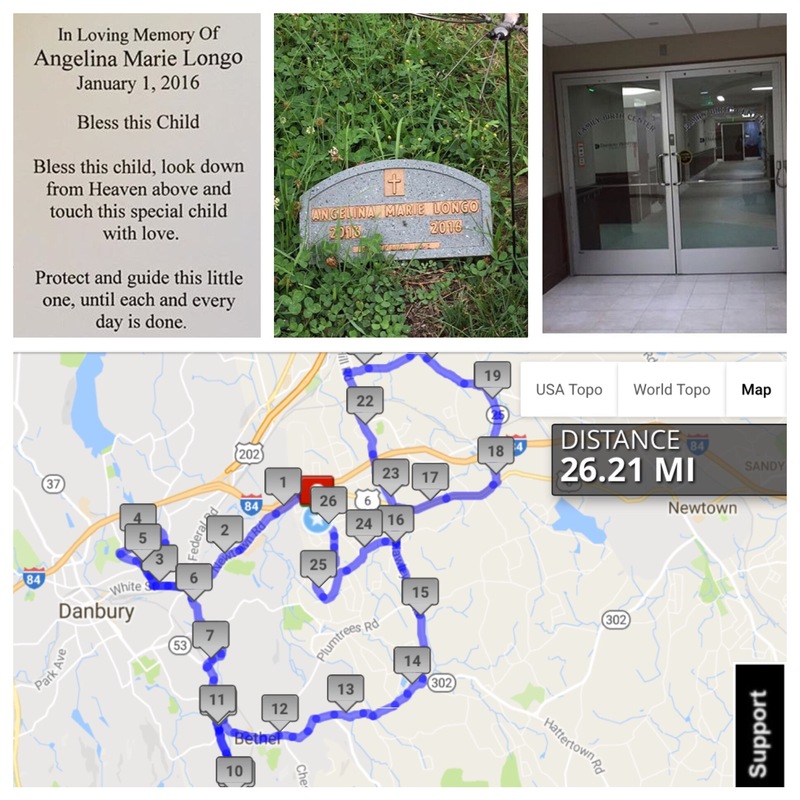 As a life goal, I intend to run 22 marathons to represent the 22 weeks of joy that our family experienced before saying goodbye to our baby girl. As a visionary, instructional leader, it is my goal in 2016 to provide my middle school with a sense of resilience when confronted with challenges. This is not always a smooth process; and this is where resilience will carry us through. With the many pressures of classroom teachers, it is crucial for leaders to have open eyes and open hearts, which in my mind can develop a shared resilience among staff. It’s the support that leaders provide when difficult situations arise that strengthen the staff, the school, and most importantly, impact student learning. This is resilience. An administration that embraces change and values input develops resilience. A school climate that involves all stakeholders and welcomes all ideas and opinions promotes resilience. In 2016, we need resilience. As a student, I never gave up. As a full scholarship track runner, I never gave up. As a coach, I never gave up. Likewise, as an educator, I will not give up. And lastly as a parent, I will not give up. No matter what adversity we face in our lives, we must develop the quality of resilience and the most important method to do so is to involve a group of people who support each other. 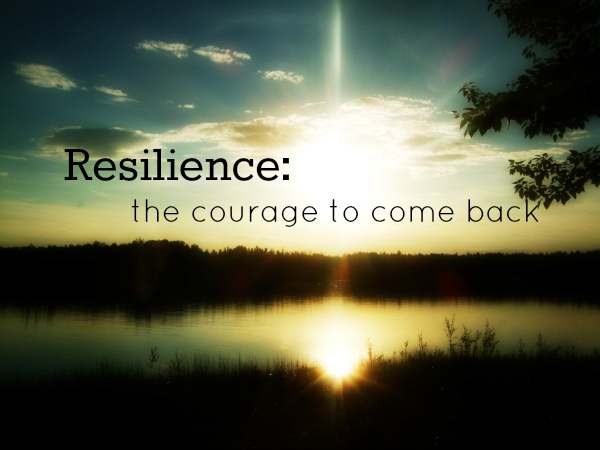 Whether it be family and friends or a school overall, resilience carries us through. A marathon is 26.2 miles or roughly 46,112 steps. leadership noun lead·er·ship \ˈlē-dər-ˌship\ (Merriam-Webster definition # 3): the power or ability to lead other people. Leadership as a high school & collegiate team captain: check. Leadership as a teacher, coach, and mentor: check. Leadership as a team leader, and department chair: check. Leadership as an assistant principal: check. Leadership as a father and family member: check. The community is an area I would like to expand my leadership qualities and make a difference. Among other towns and communities, the town of New Milford, Connecticut has been classified as having a heroin problem. The Town and associated committees/agencies have been committed to devoting resources to address and eradicate this concern. Recently, New Milford High School invited former NBA player for the Boston Celtics, Chris Herren to raise an awareness of the dangers of substance abuse. Herren has spoken to many school districts over the years, where he recounts his drug-addicted days and provides perspective on overcoming the problem and supporting youth. On Saturday, September 26, 2015, I will be running the Hamptons Marathon to benefit The Herren Project, a 501(c)3 non-profit organization founded by Herren to provide support and raise an awareness of the dangers of substance abuse. Despite my running in college on a full scholarship, qualifying and running in the NCAA Division 1 Cross Country championships for two consecutive years, and posting times of 4:07 for the mile and 14:15 for the 5K, I have never run a marathon. Running for the THP Running Team allows me to contribute and play a small part to support this cause. 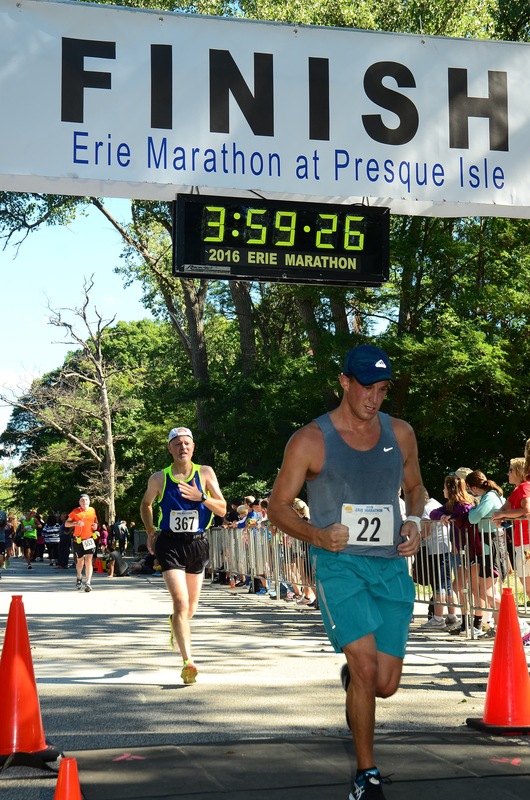 I believe that the challenge, determination, and hard work associated with training for and running a 26.2 mile race represents a direct connection to the same characteristics needed to recover from the addiction of drugs and alcohol. Together we can make a difference, one race, one step at a time. I am taking 46,112 steps on September 26th to make a difference. This is one way I would like to use my leadership to influence an area of need. If possible, please help me support The Herren Project by making a donation through my page: https://goo.gl/SDNHgy. Please don’t forget to send this website to anyone that you think might be interested in donating! For more information, visit: www.theherrenproject.org. My 4-year old son, Andrew (# 2), is the youngest player on his tee-ball team. He attends every practice, every game, and works very hard despite his limited attention span! Despite Andrew’s lack of skill thus far, it’s always enjoyable to see one kid hit the ball and the other team frantically run after it; all trying to make the inaccurate throw to first base. Andrew and I “practice” (although it is more appropriately termed, “get frustrated”) at least twice per week on our own, in addition to his team commitment. Slowly, there is growth. As administrators, we see these moments time and time again. Whether it is a new online gradebook, the teacher evaluation system, or any new initiative, instructional leaders are at the forefront in stepping to the plate and providing support for our staff or students when the going gets tough. Our school district recently adopted a new online gradebook program, along with a Student and Parent Portal. Rewind to August 2014, staff were crazed. Despite two PD sessions, our staff still felt completely overwhelmed and uncomfortable. The level of discomfort was similar to that of teaching the game of baseball to a 4-year-old with very little attention. Instructional leaders see these situations as opportunities to not only provide support staff, but also to cultivate other leaders to grow. That’s exactly what we did. Without any directive of any kind, I invited staff who were uncomfortable with the new gradebook to meet in weekly sessions to address the confusion and then head back to the field and try again. The most important and most powerful piece of these sessions was not that a tech-geek Assistant Principal assisted those who struggled with the gradebook, but instead the leaders who I chose to work with me on this initiative. First session, 22 staff members attended this training. Second session, 15 staff members. Third session, 5 staff members. Fourth session, 2 staff members. The power of distributed leadership strikes again. Of course, Andrew learns from his coach and he learns from his dad. More importantly, he learns from his older peers. By simply putting in the hours and absorbing the hard work of his peers, he grows and gains confidence. Today, that hard work paid off. We all need to take time to reflect on what it means to persevere through difficult and uncomfortable moments, not just in school; not just on the field; but in all facets of our life. Likewise, leaders need to embrace struggle as an opportunity to make great things happen. Two days ago, I received an invitation to participate in an effort titled, “We have to stop pretending.” The origin of the challenge (by: Scott McLeod) is found here. I was challenged by Dave Kimball on Twitter. Dave’s response to the prompt is found here. Also, other Connecticut connected educators that were challenged have taken part as well. Judy Arzt posted her version of “We have to stop pretending” here. The “We Have to Stop Pretending” challenge asks participants to pass along 5 thoughts on the topic and then to tag another 5 people to keep up the momentum. My 5 thoughts are listed below, followed by the 5 people I challenge. 5) that if it ain’t broke, don’t fix it. Follow along on Twitter #makeschooldifferent to find others’ responses to this challenge. On February 4, 2015, a Connecticut leadership chat came to Twitter. This chat (#CTedlead) is moderated by Chris Longo, administrator at New Milford High School, CT. This bimonthly chat features many central topics in effective leadership theory, research, and practice. The chat also features current trends in educational leadership, which offers educators an opportunity to collaborate, share, and learn. All educators are welcome to join in on this chat; district and school administrators, aspiring leaders, teacher leaders, & student leaders. The initial chats on February 4th and February 18th featured leaders from around the country and even the world. As this chat develops in 2015, the hope is for all of these groups to contribute a perspective on effective leadership. 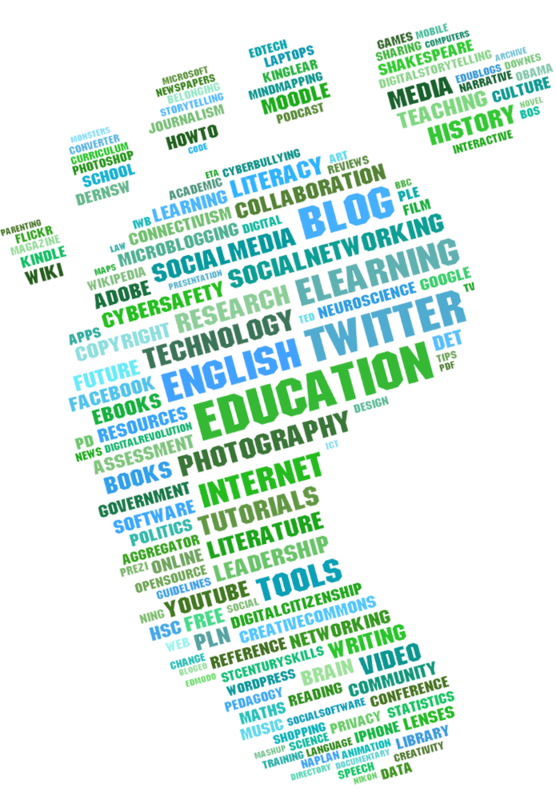 #ctedlead =new chat for educators interested in discussing #leadership. *Every 1st/3rd Wed. of the month, 8:00 PM EST; begins Feb. 4. Speed up your iPhone with the suggestions in these articles. A San Francisco cable car holds 60 people. This blog was viewed about 460 times in 2014. If it were a cable car, it would take about 8 trips to carry that many people.